From the beginning, we’ve been focused on the end result. In an age of faster technology and expanding communication channels, customers are becoming more and more digitally connected, yet even more distanced from the brands they choose to support. SYKES supports the full customer lifecycle with its offerings, and strives to help people one caring interaction at a time, truly creating trust between brands and their customer base.  2017 marked SYKES’ 40th anniversary. The company have accomplished a lot together during its first 40 years, and it will continue to innovate, solve challenges, drive customer value and remain true to its core passion for helping others. We are a company of many perspectives unified by one goal: To help people, one caring interaction at a time. We believe everyone and every interaction matters. With an “others first” mentality, we serve with thought and heart, owning every moment, working to quickly, simply, and effectively make things better. We listen with our brain and speak from our heart, creating a spirit of trust with our clients and their customers. 2017 Marked Our 40TH Anniversary. Four decades of helping people, one caring interaction at a time. Operating within clear guidelines for ethical and respectful conduct is important to SYKES, our clients and our employees. It allows us the opportunity to advise our clients as a trusted partner and sets our foundation as an employer of choice. SYKES employees receive continuous education and information about SYKES Standards of Conduct, and conversation about the standards is encouraged to help employees navigate through everyday business situations. SYKES employees are informed of their right and responsibility to report questionable or fraudulent activity through our report line or by calling the appropriate regional anti-fraud hotline. In addition to our Standards of Conduct, we also comply with the UK Modern Slavery Act. Through the use of our Section 54 disclosure statement, we describe the steps the Company has taken to ensure that slavery and human trafficking are not taking place in our supply chains or in any part of our business. SYKES observes and supports all applicable laws and regulations concerning equal employment opportunities and welcomes the introduction of the SYKES Gender Gap Report in April 2018 (find the 2017 report here). We encourage individual growth for self-development and performance improvement and provide full equality for all employees through management practices and standard operational procedures. To significantly improve the business of our clients and help consumers find and use the products and services they need by combining the power of machine intelligence with human ingenuity to modernize, optimize and integrate customer touchpoints across the commerce value chain. Setting out on a new course, in 1992, SYKES acquired a small company in Sterling, Colorado. With the acquisition of Jones Technologies, Inc., we entered into the arena of inbound customer support. Having built a solid foundation with existing clients, we soon became very successful in outsourced customer care. In 1996, SYKES went public and began trading on NASDAQ. This allowed us to grow globally. While we already had an international presence with the opening of our Amsterdam site in 1994, several other acquisitions expanded our European footprint from 1996-1997. These acquisitions included Datasvar Support AB of Sweden; Telcare of Germany, McQueen International Limited and more. We also entered a joint venture with HealthPlan Services Corporate – forming a new venture called SYKES Assistance Services – which took the company to Canada. Within the next few years, acquisitions and the opening of new customer support centers would cement our presence in Latin America. In 2010, SYKES acquired ICT Group, Inc and in 2012, we completed another significant acquisition — Alpine Access, Inc. The Alpine Access acquisition created differentiation for our organization in the categories of quality, speed to market, scalability and flexibility, by the integration of home-based agents. In 2015, we acquired Qelp, a company whose self-service platform delivery model helps our clients create more of an effortless customer experience by serving customers in their channel of choice. Less than a year later, we acquired Clearlink, moving us deeper into digital marketing and in-bound demand generation. The additions of Qelp and Clearlink provide our clients with a unique and differentiated end-to-end global customer interaction management solution. We’ve also been recognized for our innovation with such awards as the Recognized Innovator Award (Technology Services Industry Association – formerly SSPA) and 2011 Product of the Year (Customer Interaction Solution Magazine) for its Online Support Communities solution. Since 1977, We have held fast to our steadfast client commitments and our passion for providing excellent service. And, while our industry recognitions and steady growth have provided solid benchmarks, our true measure of success lies in holding firm to our core principles of providing exceptional customer service and outstanding client value.